Each form can have its own workflow. 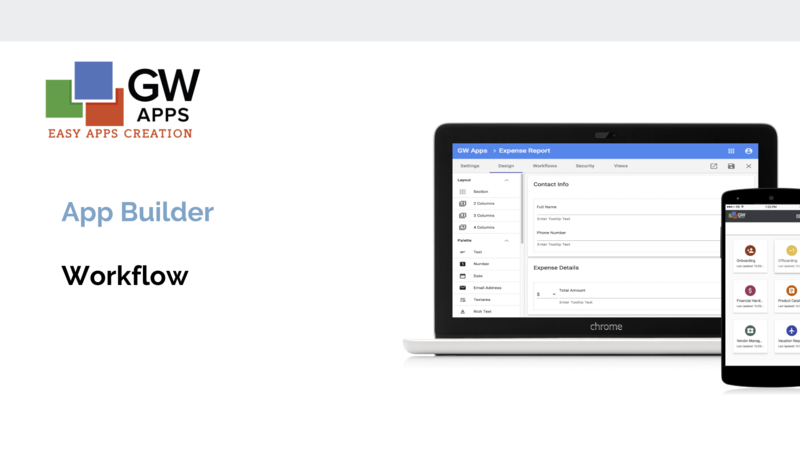 A workflow allows a designer to implement a multi-stage review or approval process for the records created with the form. Workflow actions can send notification emails if required. It will also allow the designer to control who can see and edit fields based on the current user and the current workflow stage. Example: In an expense management application, an initiator can view and edit their expense report records, but their approver can only view the information entered by the initiator. All the approver can do with the records is approve or reject it, and add comments. Once approved, even the initiator will no longer be able to edit their own record. Workflow creation is split across two tabs in the Form Editor, the Workflows tab and the Security tab. The Workflows tab is used to define the workflow stages and the actions available at each stage, and the Security tab is used to control who can see and edit which fields in each workflow stage. Create workflow stages, the steps in the review and approval process. Create workflow actions buttons, the workflow activities a user can initiate by clicking on a button, such as Approve. The Stage tools allows you to add, remove and edit stages. The Stage tools can be found on the left side of the Workflows tab. Initially there are two fixed stages, Draft and Completed. These stages can have their setting edited. 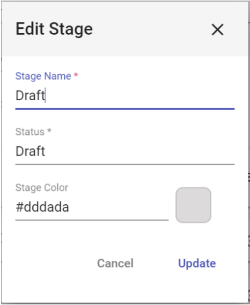 The Completed stage can be deleted, but the Draft stage can’t be moved or deleted. 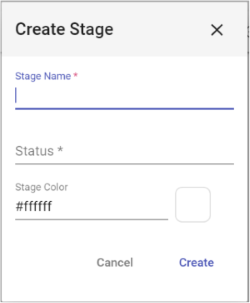 Click to add a new stage to the end of the current form’s workflow. Stage Name Enter the name of the new stage. Status Enter the status label records should have while they are at this stage. Stage Color Click on the color sample square to use the color picker widget to select the desired color, or enter the color as a Hex code. Click to close the dialog and cancel the new stage creation. Click to close the dialog, create the new stage, and be taken back to the Workflows tab. To edit a stage, click on the pencil icon for that stage. Stage Color Use the color picker widget to select the desired color, or enter the color as a Hex code. Click to close the dialog, and update the stage with the new values. To delete a stage, select the stage and click on the Remove Stage trash can icon. © Copyright GW Apps - Support.